1- Smoothies. So this is the single most use I get out of my Vitamix. I used to use my Magic Bullet before -I gave that one to my mother in law in a not so fair trade off- but the Vitamix really blends all my veggies and fruits into a totally whipped consistency and totally blends in the chia and hemp that I use for my protein- I have lots of different smoothie recipes but my basic method is here. 2- Soups. Love how whipped my soups become here---especially things like a butternut squash or sweet potato soup. Sometimes if I need a chunkier soup, I use my immersion blender. 3- Home-made condiments and marinades. Think marinades for meats or home-made hot-sauce--- so much fresher and tastier than the store bought stuff--- and less processed too. 4- Juices. Though I went on a juice cleanse recently, for everyday, I prefer the juices in the Vitamix because the fibre is still there. My favourites are carrot or simple OJ. 5- Cauliflower. now that I'm a little obsessed with cauliflower rice, this is my go-to for ricing. 6- Desserts. They are the best for a quick, healthy dessert. My favourite combo is unsweetened greek yogurt, frozen berries and a touch a honey for the kids or Stevia for me! It is seriously awesome. And there are a ton of other uses I still haven't really experimented with like nut butters and milks! What about you? What sort of blender do you have? 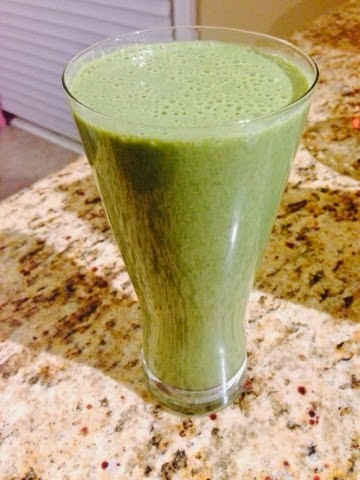 Any other uses for the Vitamix? I do similar things with my food processor. Great machines! I love the Vitamix too... and it was also a give from my mother in law! Oh...you have a Vitamix? We cannot be friends. Just kidding. But have you ever seen that SNL clip about the Vitamix? It's always hard to find SNL clips in Canada, but maybe you've seen it. I'm afraid to ever get near one because I know I'd want it. 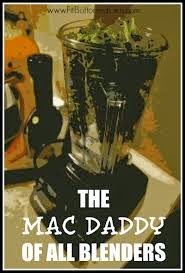 I've tried every other blender I think... my step daughter has one & just raves about it. Oh, and I think there is a recipe out there on how to make a cauliflower crust for a healthy pizza using the Vitamix too! I have never used a Vitamix before, but I have heard great things about it. Everything you use it for sounds great!